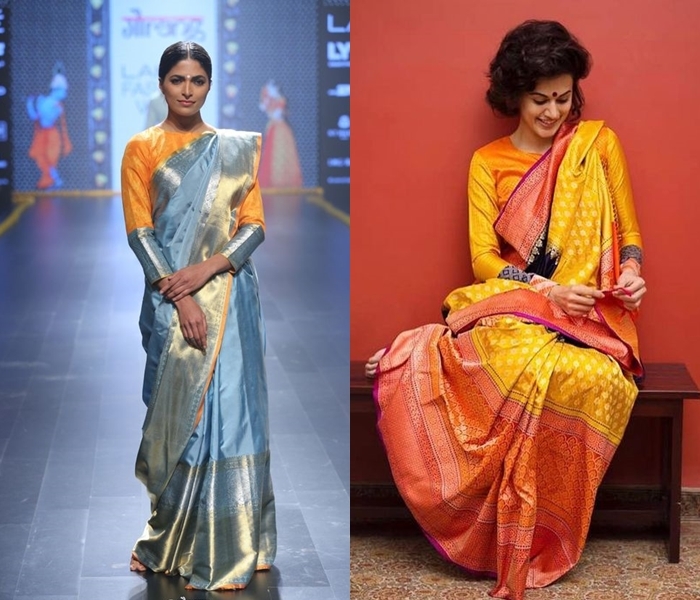 Silk sarees and full sleeve blouse, is a combination that is tricky even for a sincere saree wearer. It comes on the highly experimental side that many dared to try. 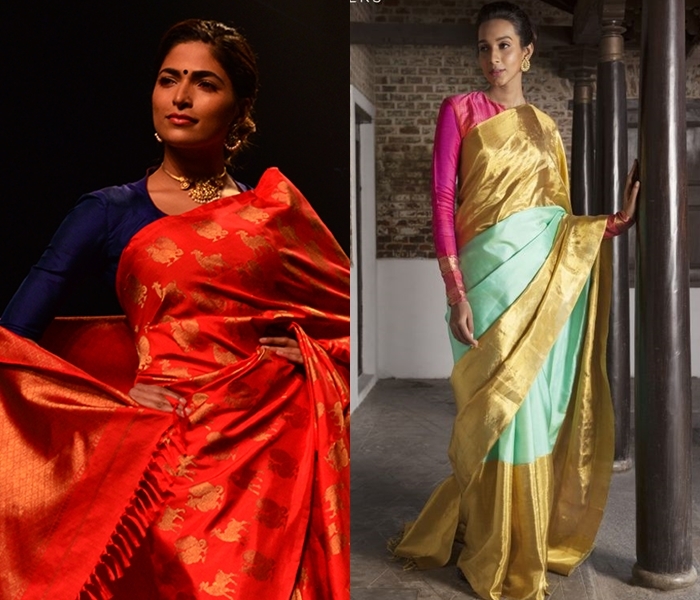 We mean, imagine wearing the most heavy kanchivaram silk with suffocating sleeves that hardly leaves any bare skin to breath? Our climate has been undeniably a challenging factor that lends us no support, when we like to dress up in such risky combination. Besides that, many often think that full sleeve blouse can make one look hefty and large. So obviously, your desire to look slim on silk can be easily be crushed down by a full sleeve blouse. 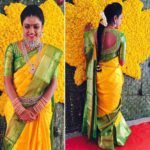 Some of saree lovers do dare to try this blouse pattern, but end up picking wrong fabric or pattern to get their blouse. This would only crash their confidence, and thereby, killing their budding wish to wear this blouse. 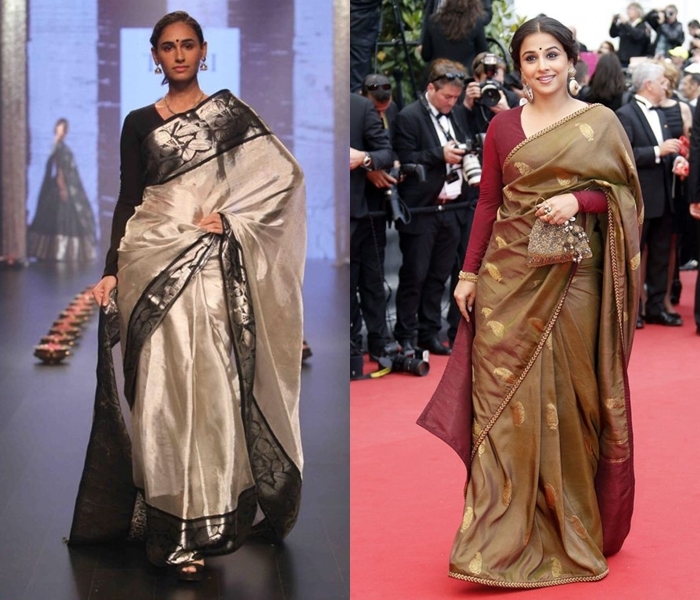 As you see, the practical challenge in wearing a full blouse sleeve is very high in case of silk sarees. 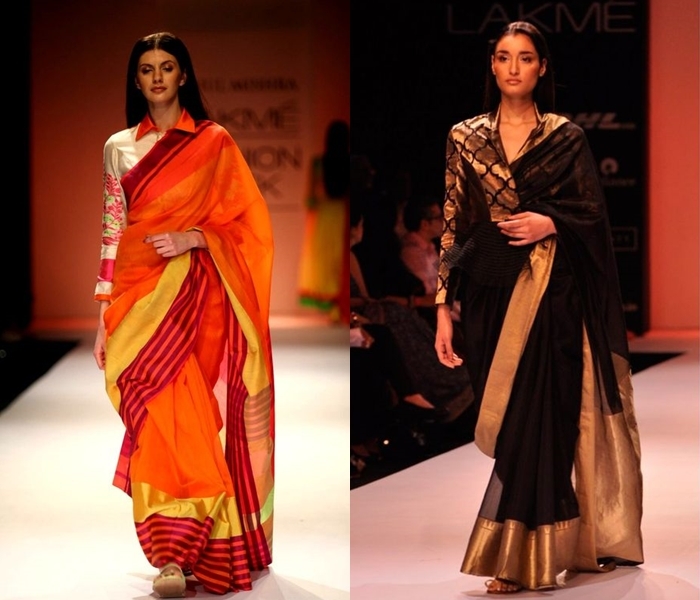 But we all love to wear them with other fancy or designer sarees. So, should we let it stay like that? Or should we attempt to find the ideas/inspirations that can make this seemingly complex pair work together. Of course we can look a stunner on this as well. It just needs a bit of planning and proper inspirations to aid us out. 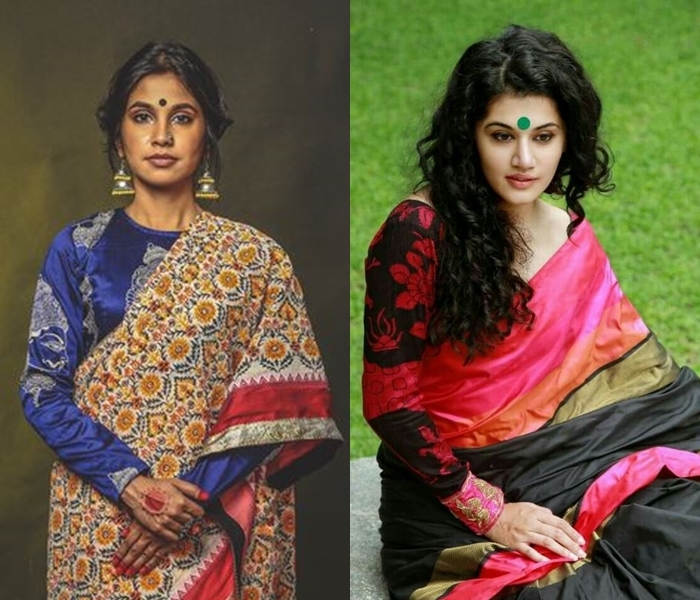 Let’s see all the flattering full sleeve blouse styles that can work like a charm with silk sarees. 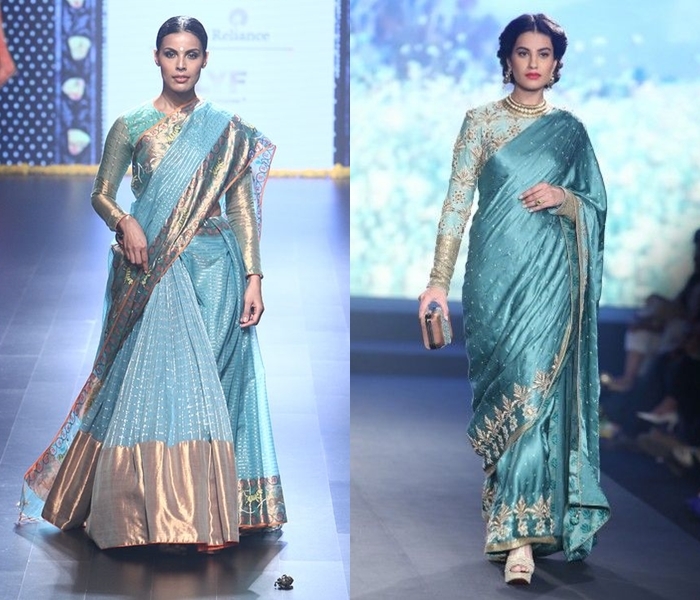 It’s fine to wear long sleeves in the saree shade, however it tend to bulk up the look sometime. If you feel so, then bring in a contrasting shade to your look. The pop of color on the long sleeve, will act as a welcoming change to your heavy drapes. 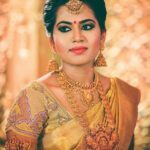 For wedding events, full sleeve blouses opt for wonderful scope to increase the grandness of your saree. Heavy zari filled blouse design can bring the limelight over you on any event. 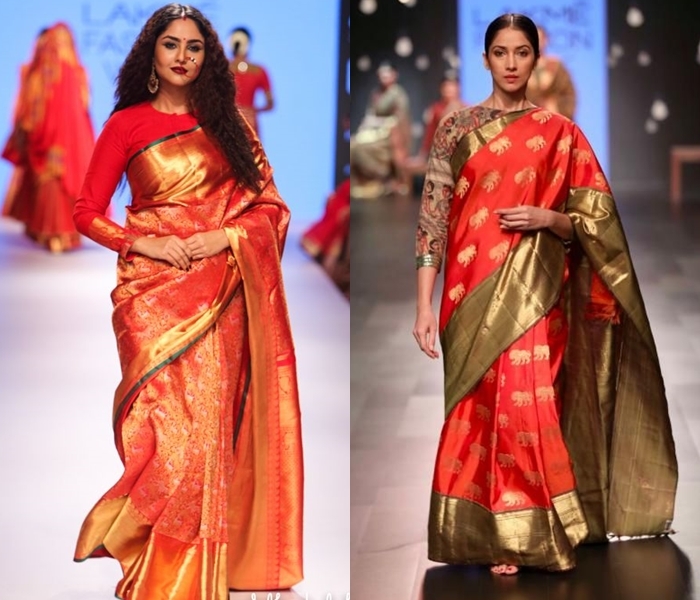 If you feel long sleeves are too heavy to pull off on a silk saree blouse then opt for lighter fabrics that elevate your silk saree further. 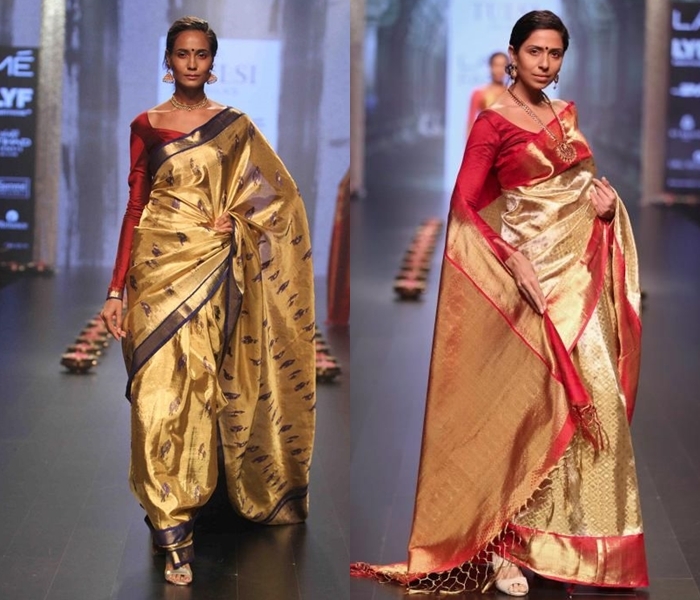 Check out how the below tissue blouses look spectacular with silk sarees. If you have well toned down hands, then opt for full embroidery on your long sleeves. 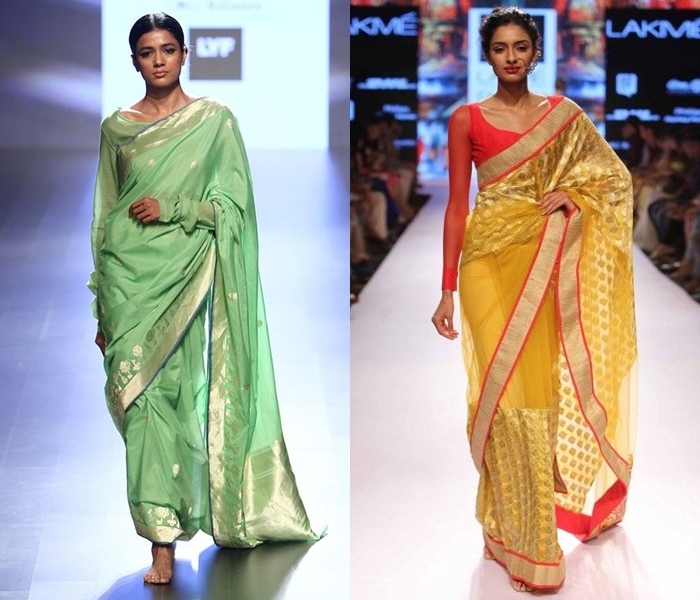 Wear them with plain silk sarees and see how you end up in a stunning saree style. If you plan to get heavy stone work or zardosi work done on your blouse, make them happen on your long sleeve blouses. Since the sleeve portion is on the advantageous side, you can have more creative cut outs and embellishments on sleeves. 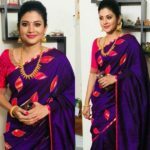 If you, by no mean, want to increase the heaviness of the silk saree look that it already has then opt for simple plain blouse like the one shown below. This blouse pattern add a structured style to your saree look. 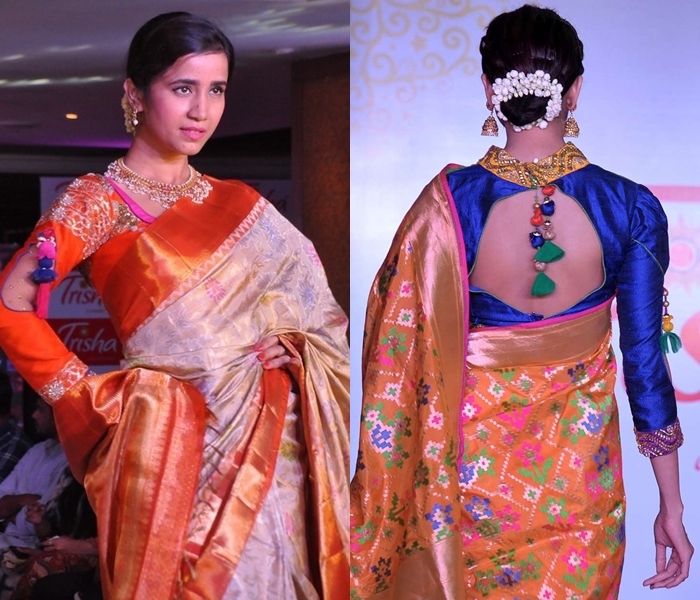 For your cotton silk and light weight silk sarees, dress up in collar neck full sleeve blouses. This model is for those who like to look chic even on traditional look. If embroidery or other glittery embellishments are not your cup of tea, then opt for bold prints and patterns on your full sleeve blouses. 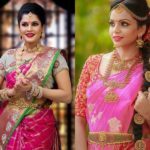 They can make your saree style notable and creative. Bold borders around the wrist area, especially in contrasting color work as a charm on your long sleeve blouses. Another interesting way to get your full sleeve blouse done is by opting for wide front neck. Just imagine wearing your favorite silk with long sleeve, and wide neck flaunting that perfect gold attigai of yours! So classy. 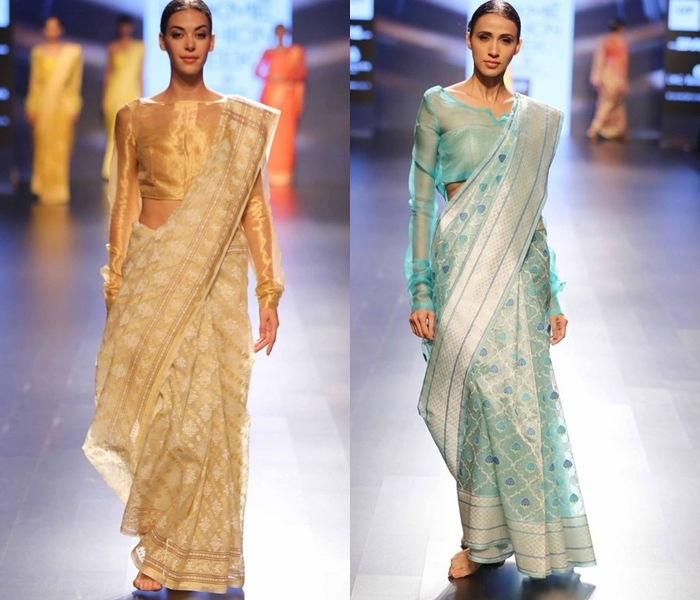 Sheer blouses are a fantastic one to wear with your designer sarees. However, don’t think that your silk saree should not have the pleasure to have that. 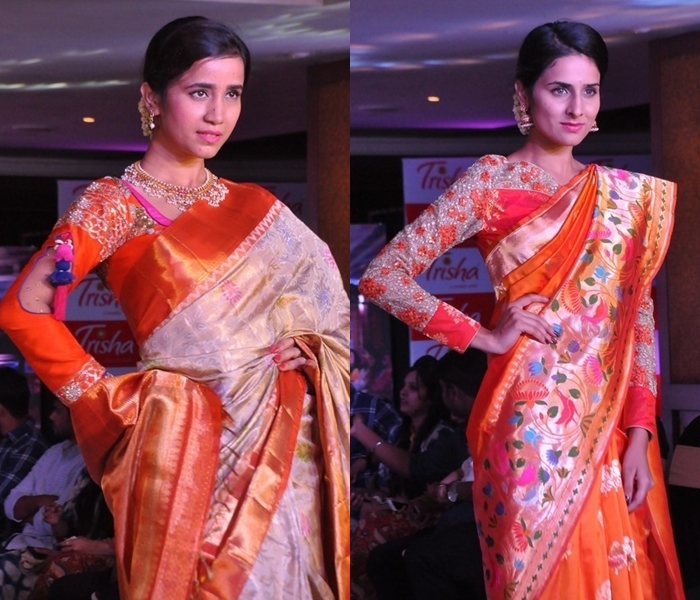 Do wear transparent net blouse to glam up your silk saree style. And finally, good printed blouse, especially in satin finish, can get you a sleek blouse style as below. 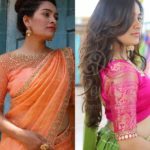 These are some of full sleeve blouse ideas/ inspirations that can let you try this combination in a better way. Don’t get daunted by the challenges. Check out the above styles and pick the one that you can manage to pull off. Also, let us know how it turned out.